The CPMR has carried out a deep reflection on the achievements of the European Social Fund for 2014-2020 and Youth Employment Initiative (YEI) so far and on their role for the next programming period. This work feeds in to the CPMR Policy Position on post-2020 Cohesion Policy which is due to be adopted at the CPMR Political Bureau in Stavanger on 22 June. The CPMR Secretariat launched a survey in January 2017 on the ESF programme for 2014-2020 and YEI, together with the support of the Region Emilia-Romagna. The purpose of the survey was to get feedback from the CPMR member regions on their experience with the ESF programme for 2014-2020 and YEI but also to collect CPMR Members’ feedback on how they envisage the role of the ESF within the future cohesion policy. In total, 28 regions contributed to the survey. Based on that work, the CPMR Secretariat has developed a study which presents the results of the survey, draws conclusions and gathers general recommendations. The study can be found here. 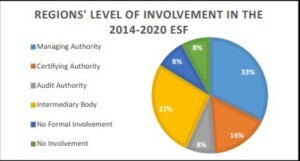 Areas of intervention for the ESF are suitable for the 2014-2020 period, but more flexibility at regional level is required for the sake of results and efficiency. The involvement of local and regional stakeholders in the ESF should be strengthened. Smart Specialisation Strategies should be reinforced as they have proved to be useful to guide the development of ESF programmes. Greater cohesion is needed between the ESF and the European Semester. Regions largely support the YEI but there is room to improve the mechanism. There is a need to build on the potential of the YEI.